The relationship between sport and exercise psychology and the realm of professional sport and performance has grown exponentially in recent years. Elite athletes increasingly see the value in seeking psychological advice and expertise, while consultants now work in a wider range of elite performance environments. 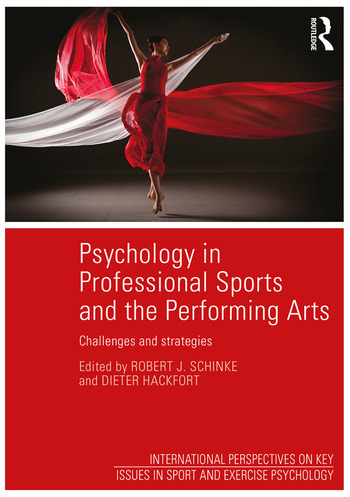 Psychology in Professional Sports and the Performing Arts: Challenges and Strategies is a unique and timely collection that brings together the experiences and knowledge of a range of applied psychologists working in these exciting industries. The book begins with a section outlining the core skills practitioners require in the field, before chapters discussing individual sports, team sports and the performing arts. Each author looks at how theoretical principles can be applied within a particular professional context, delineating how performers may benefit from working with a psychologist, as well as the ethical and cultural challenges that they faced. Assessing the role of applied psychologists across a truly unique range of activities, from polo to motor racing and ice hockey to modern dance, Psychology in Professional Sports and the Performing Arts: Challenges and Strategies offers unrivalled insights into how sport and exercise psychology can be put into practice in challenging professional environments. It will appeal to anyone studying sport and exercise psychology, or working in the field. Robert Schinke is the Canada Research Chair in Multicultural Sport and Physical Activity, and a professor at Laurentian University, Canada. He is both a mental training consultant to Olympic and professional athletes and an active researcher. Dieter Hackfort is a professor for sport psychology and the Head of Department for Sport Science at the University FAF Munich. He has served as a counselor for professional performers and athletes of various sports at the Olympic Centers in Germany. His research has been published in 27 books and edited volumes, and in more than 150 contributions in national and international journals.